A runDisney race weekend begins with a visit to the expo. 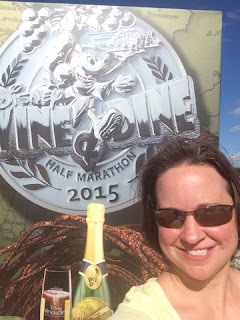 For the Wine & Dine Half-Marathon Weekend, the expo began on Friday and continued through Saturday afternoon. 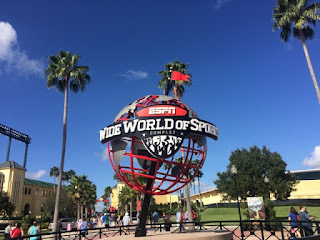 Held at the ESPN Wide World of Sports, the expo is home to packet pick-up, official runDisney merchandise, and major damage to my credit card with all of the great shopping! Here are a few things I learned at my first runDisney expo. Bring your patience - One thing that you'll be sure to do is wait in line. 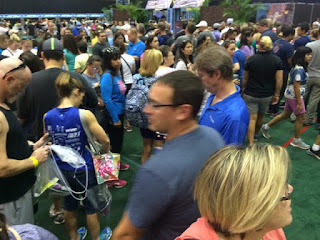 From the time we arrived to pick up our bibs, long lines stretched throughout the field house. Bibs for the Half-Marathon and 5K were separated on opposite sides of the complex. Following the wait in each of those lines, the lines for official merchandise and pre-purchased commemorative items awaited. All told, it was a very long morning with lots of crowds. 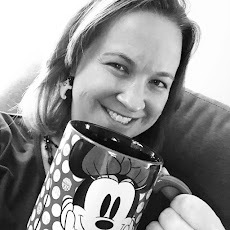 Be prepared with a good attitude and your best Disney spirit to survive! New Balance Shoes - Beginning in 2013, runDisney and New Balance have partnered to offer exclusive shoes for runDisney expos. 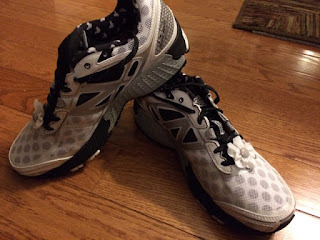 These shoes are only available for purchase during each expo and are immensely popular. In an effort to minimize lines for these very popular shoes, New Balance utilizes a virtual queue. Beginning at 6AM on the morning of the expo, you can enter your bib number and contact information and New Balance will assign you a time to arrive to their booth for shoe pick-up. In the virtual queue you can reserve one pair of shoes and you can purchase a second if you're interested at the expo. I was pleasantly surprised by how smooth this whole process went. In fact, I was even able to access my return time about 15 minutes early. . .and I walked away with two great pairs of New Balance shoes! Official Merchandise - At ESPN Wide World of Sports, there were two runDisney official merchandise booths - one inside of each field house. Lines were long, crowds were big, and cast members tried to restock shelves as quickly as they could to keep up with popular demand. I arrived at the expo around 10:15 on the first day and was able to grab what I was interested in for official merchandise - an "I Did It!" shirt. I also picked up a headband and could have maxed out my credit card on all the great items if I didn't exercise some serious restraint. Just a reminder that the official merchandise booth is Disney operated so you can use Disney gift cards to purchase items and you also can grab your Chase Disney Visa discount of 10% off $50 or more. For the best selection on any items that you would like to purchase at the expo, you'll want to arrive early on the first day. However, this is also where you will find the largest crowds. Come prepared with a large amount of patience (and maybe a sizable wallet as well!) and you'll be sure to have a successful kick-off to your runDisney race weekend!